If ever there was a very pleasing victory it was the one by Tom Stewart at the Tour of Normandie recently. 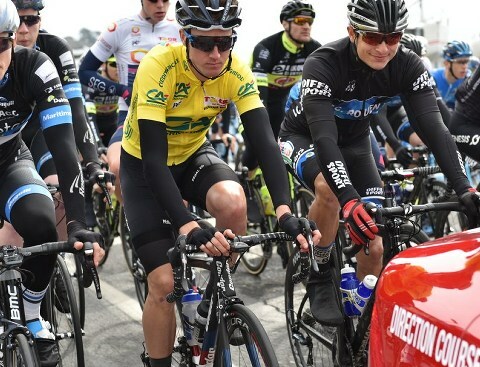 Already a winner of major events like the Lincoln GP and Velothon Wales, the rider from Yorkshire who should be riding at Pro Conti level at the very least, held on to a slender lead with the help of his JLT Condor teammates and walked away from France in yellow. Last weekend, Tom was having a final hit out at the Danum Trophy before flying to Australia for the Commonwealth Games and it was a pleasure, as always, to catch up with him for a few words. “Normandie has got to be a career highlight” Tom replied when asked how the victory ranked in his short career so far. “It is a real nice race to win because it’s a stage race, a long race and one that is normally very tough”. “It is a race I have enjoyed racing in the past, and previously, I was 11th (2016) and was quite proud of that at the time so to win it was pretty special”. 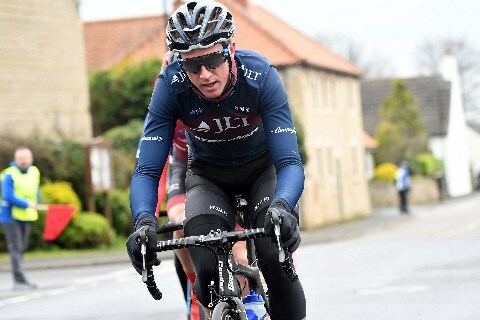 Tom joined JLT Condor because of the varied race programme that John Herety provides for his riders and Tom explained how it is always nice to get a result like the win at Normandie but even more so, to get it with a new team. “It is a rider’s race, and whilst it’s not a famous race, anyone who has ever ridden it, knows what it’s like and it’s a win I certainly won’t forget” says Tom. Talking about the team which lost a few riders through illness, defending the yellow was a tough ask especially as they also had Matt Gibson looking to get the Green jersey and Tom and the team were also trying to help Matt get the stage win which he achieved. That left it down to two riders – Mr Dependable Ali Slater and a big engine in James Gullen to try and control the race. Prior to Normandie, Tom went to Australia with John Herety and his team. Chatting about his preparation for such a tough event, Tom explained “I tried to hit the ground running in Australia and got some good results and whilst I wasn’t firing on all cylinders, I was going as well as I thought I should be at that time of the year”. “The racing went pretty well and then back in Europe, we didn’t really get the results we deserved in Croatia but we learnt a lot there and got some good racing in our legs. We were able to experiment with tactics for example and learn more about riding together as a team”. Asked how many race days he’s already had, his answer shows just how poor the programme of racing in Britain is for the pro level riders as Tom says he’s already done around 28 races, all abroad. That is not far short of all the race days in Britain in 2018 and that’s counting the Tour of Britain which not all British teams will get a ride in. Tom was at the Danum Trophy which is organised by his old club so it was the perfect thing to do on a Sunday before he flew to Australia which he did on Tuesday. Tom added that having been in Australia with his trade team only a few months ago (January) was also helpful. “That was a big part of me deciding to put my name forward and go for it because in terms of build up, I thought it should work out just right”. Fingers crossed for Tom because it would be rather special to see him do well there in the Games race especially for me as it’s ‘my home turf’ in ways that many here won’t know about ;-) … Good luck Tom!